I got to thinking that we're both very active on social media, as are many other RV and Travel Bloggers. We find and share a lot of really good info on Twitter, Facebook, Instagram and Pinterest. But if that info doesn't make it back to our site or into our newsletter, it has a really short shelf life AND it's not helping our blog and newsletter readers. So, beginning with this post, we’ll publish one curated article a week, sometimes less, never more in addition to our regular blog articles that we write personally. Please let us know what you think of this. Do you like it? Hate it? Want more of something? Or less? Our first Thanksgiving on the road was a quiet one. I roasted a chicken instead of a turkey in our convection microwave oven and it was just Jerry and me for dinner. Every year since then has been a feast with friends, sometimes grilled and enjoyed on the picnic table outside our RV, sometimes with friends at their ‘sticks and bricks’ home, and as a bonus the last two years we’ve flown back home and also had an early Thanksgiving and Christmas with family. This year we’ll be gathering with long-time friends in Prescott Valley, Arizona. My point is, where there’s a will there’s a way. Wherever you are, whoever you’re with, whatever you eat, give thanks and enjoy. 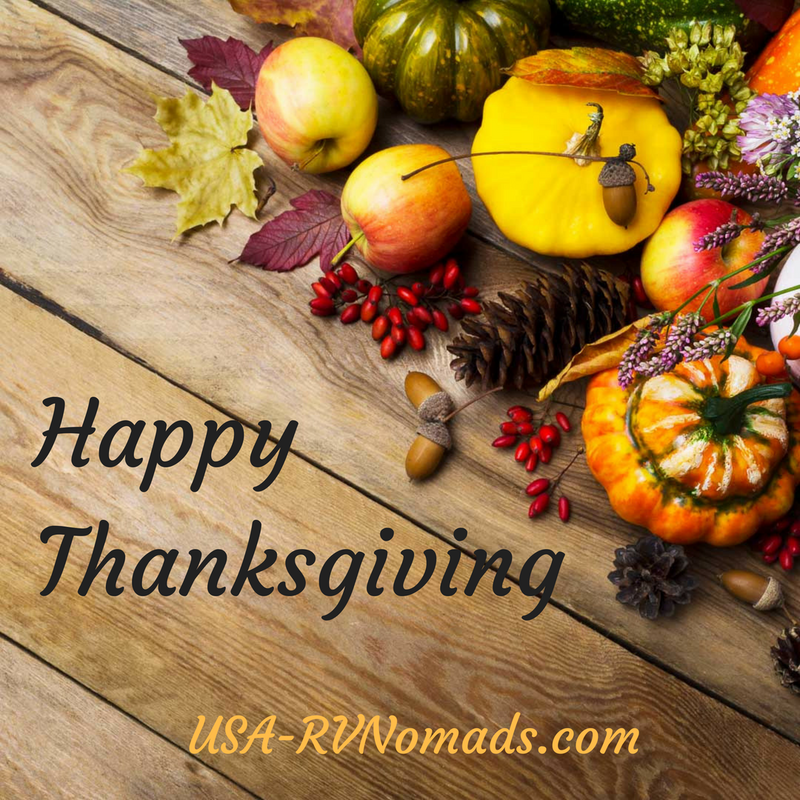 Know that we appreciate you and we’re thankful to have you along as a virtual part of our journey. 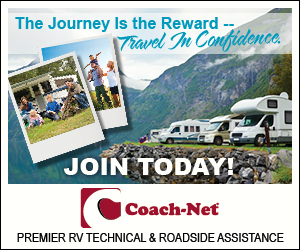 Coach-Net also publishes a travel and adventure blog, and their two-part series on essential winter maintenance for RV appliances is required reading, especially for new RVers. Continuing on our theme of safety, here’s a tip from our Facebook page. Is your Kidde fire extinguisher under recall? We’ll be visiting LA in February, so when this next post came across my Twitter feed it caught my attention. While I’m pretty sure that LA is not big-rig friendly, there are at least two RV parks within an hour’s drive that will work as a home base. And while we’re not really ‘big city’ people, I am looking forward to visiting this area. Follow the link to find a short guide and travel vlogs to the “best day trips” along the coastal parts of Los Angeles, including Venice, Santa Monica, and Malibu. Texas is high on our list of places we visit every year, usually in the Springtime. My mother and siblings and their families all live near Dallas. In November, our first year on the road, we stayed at Thousand Trails Lake Conroe, north of Houston, for three weeks. This park was in sad need of maintenance, with the HUGE potholes and rutted, un-level sites. But according to full-time RVer Pastor Scott, things are looking up! There are major renovations taking place and we will once again add this park to our list of Thousand Trails parks worth visiting. 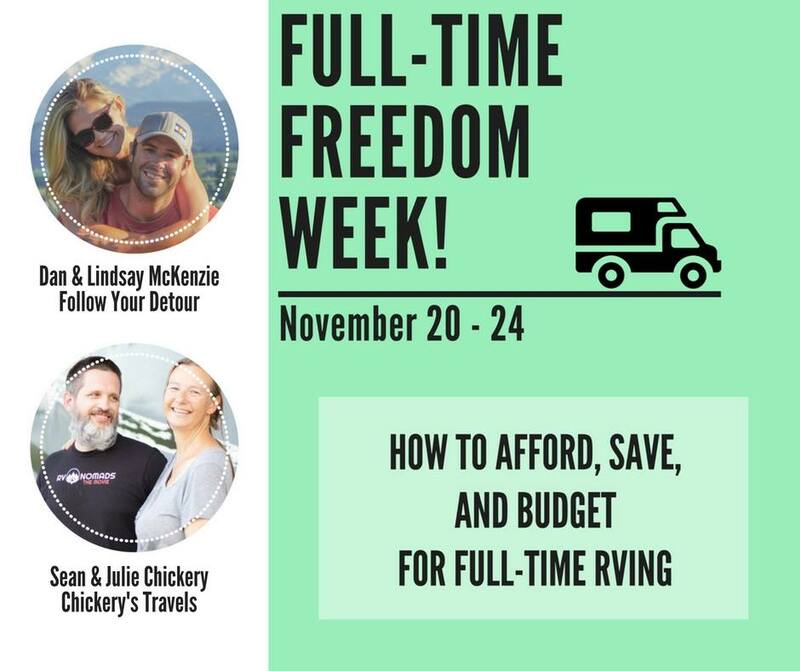 One of the questions we hear most from folks considering the full-time RV lifestyle is “How do you earn money on the road?” The answer to that is really only limited by your imagination and your skillsets. There are so many ways, from working remotely as an employee to building a profitable business, and everything in between. This wraps up our first Full-Time RV Travel roundup. It took a little longer to pull together than I counted on, but that's okay if you find it useful. What do you think? 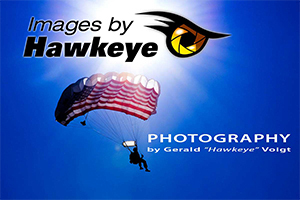 Like it or hate it - please let me know by commenting below. Buying an RV to Live In…What They Didn’t Tell You.